A Very Happy New Year 2018 to you, your family and loved ones. Enjoy the recent poem, Hope you like it. Mark what to unlearn, your new year resolution. Unlearn the sinful lies, which you are still believing. Unlearn the faulty processes, which you are still following. Unlearn the erroneous facts, those deviate you from truth. Unlearn the short term mindset, which blocks human growth. Unlearn the evil character, which control your mind, body and soul. Unlearn the vague misleads, which deviates you to achieve the goal. Unlearn the invalid arguments, that troubles you. Unlearn the toxic thoughts, which you blindly follow and continue. Unlearn the bad talks, which are below standards. Unlearn the false allegations, which are blocking to move forward. Unlearn the corrupt system, that blocks the development. Unlearn the unhealthy food, which you consume and eat. Unlearn the sloppy mistakes, which you commit repeatedly. Unlearn the stifling teachings, which still prevail in the society. Unlearn the contradictory info, that leads to hurdle. Unlearn the harmful people, that you have in your circle. Unlearn the injurious medicine, which causes anxiety and depression. This is the time to master, 'the art of what to unlearn with passion'. Well written Sachin. Nice poem to start the year. Nice and meaningful poem. Well written. Very meaningful and motivating poem sachin. well written. i read a nice poem after a long time, really amazing. good work sir. keep writing amazing poems. i like many of ur poems, i recently read. i dont know this.this is motivating poem. Wonderful poem to read in recent time. 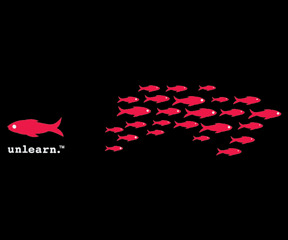 Unlearn is also an art. Thanks for posting this wonderful poem. good work.